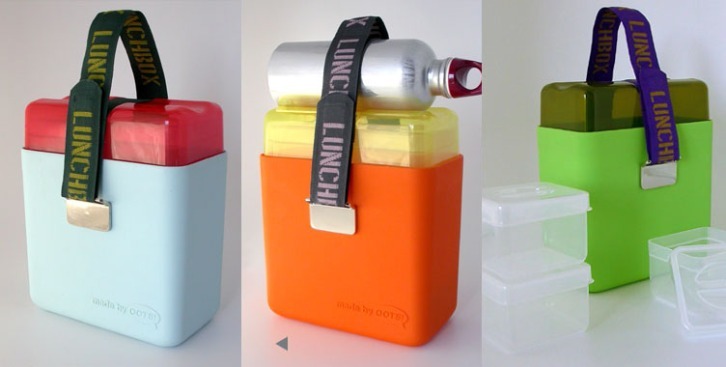 Pack a lunch or a petite picnic with these durable lunchboxes from The Kids' Table. Getting children interested in what they eat is the mission of The Kids' Table, a fun, interactive venue for cooking classes for little ones and their parents and culinary products for all ages. With warm weather days dwindling and fall and the start of the school year on the horizon, The Kids' Table is featuring some entertaining and educational ways to squeeze out every last drop of summer and make the transition into school days easier. To get the most of what's left of the summer sun, pick up a cute picnic basket from The Kids' Table. The real wicker kid-sized set ($21) comes stocked with four plastic plates, cups, forks, spoons and a colorful red-and-white checked tablecloth. Throw in the "Packing Up a Picnic" paperback ($9.95) filled with recipes, games and activities. The Kids' Table also sells the ingenious Play & Freeze Ice Cream Maker ($32), a portable globe that whips up ice cream in a jiffy without electricity. Yum! When the inevitable start of school arrives, two handy items will make your hectic mornings easier: the Wrap-n-Mat ($7), a reusable sandwich wrap made of an easy-to-clean lining that doubles as a placemat, and bright, happy Oots lunchboxes ($42) that come complete with plastic containers and room for a water bottle (you might want to pick one up for your to-go lunches, too). The Kids' Table also has an array of quick and easy recipes at the ready, as well, such as Cherry Berry Salad, roasted veggie-and-goat cheese wraps and cold Asian noodle salad, perfect to make with aspiring chefs and serve on your picnics or pack for school lunches.